Welcome to the Mineral Wells FFA page! 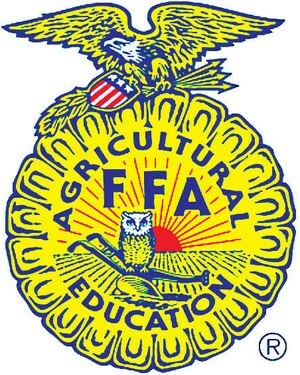 The FFA is an agricultural-based learning group. We focus on career development and leadership development education. We work around three basic forms of learning. Classroom/Laboratory Instruction-quality instruction in and about agriculture that utilizes a "learning by doing" philosophy. Supervised Agricultural Experience Programs-All students are expected to have an agriculturally related work-based learning experience while enrolled in agricultural education course. FFA Student Organization-Activities/Opportunities-FFA activities are an integral part of the agricultural education program that all agricultural education students should participate in if they are to fully benefit from their enrollment in the program.